Vinyl die-hards will delight in the latest reports on the black stuff's ongoing renaissance. In the US it's reported that pressing plants are ramping up production due to independent record companies seeing a significant increase in demand. 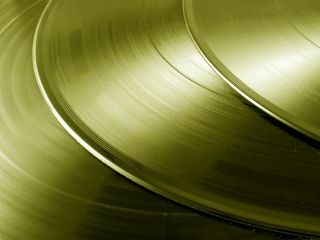 Pressing plant owner Don MacInnis, of Record Technology, predicts production will be up 25 per cent year on year. And it's not just dance and electronica that's driving demand, but "new albums, reissues, majors and indies ... jazz, blues, classical, pop and a lot of (classic) rock". His words are echoed within the web pages of Amazon.com, which now boasts a vinyl section. Patrick Amory of New York label Matador Records whose artists include the New Pornographers and Cornelius says that, "The size and presence of the artwork, the division into sides, the better sound quality, above all the involvement and work the listener has to put in, all make it the format of choice for people who really care about music". Matador is among several US labels that have started to include coupons in the vinyl packaging that allow customers to download MP3 versions of the songs, giving buyers the opportunity to enjoy digital versions of their purchases on portable music players.